Many thanks for producing all of these and for offering them up for free. It is hugely appreciated. I have no musical talent myself but would like to try my hand at creating my own. Can anyone recommend a free downloadable music making software for dummies- ive looked at some of them and they seem extremely complicated. So im wondering if theres a nice simple one out there designed with us novices in mind? Unfortunately, you still need to have some basic knowledge in making music. But I suspect it would be a good start for anyone wanting to learn the basics. By the way, I have no musical talent as well. So if you find a good easy way to learn how to make music yourself, please share. 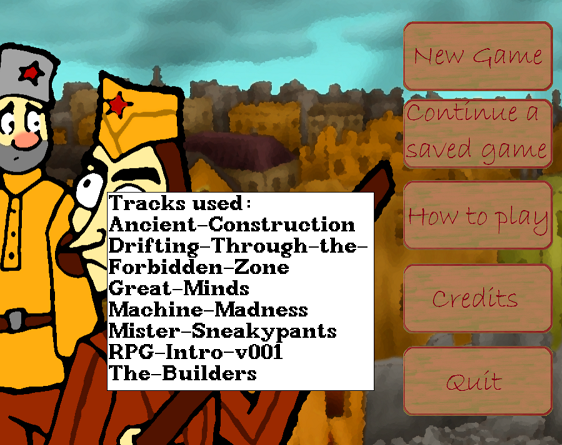 I just wanted you to know that I added several (seven so far) of your tracks to my game (http://www.adventuregamestudio.co.uk/forums/index.php?topic=52586.0)! I wrote your name and the adress of your site in the credits in the main menu of the game, as well as a list of the tracks I used. 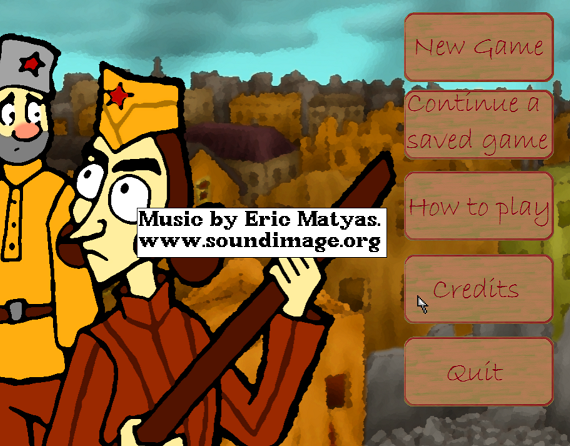 Here are screenshots of the credits! I think you are doing really great work! I'm glad so many of my tracks work in your game...that's great! And thanks for the kind words...I really appreciate it! You're very welcome! Feel free to send me a link to your game when it's finished...I'd love to see it! I think your music really helped set the mood for my game and I hope I get the chance to use more of your tracks in my next game!